MATH-We are finishing up unit 5 this week. Reviewing will begin on Tuesday with the test planned on Friday. Review sheets will start coming home Tuesday. SCIENCE-The weather unit is wrapping up this week also. The test is planned for Thursday. Review sheet and all handouts from this unit will come home Tuesday. EARLY RELEASE DAY-The children will be released at 1;30 on Thursday, February 3rd. VALENTINE PARTY-We will be celebrating Valentine’s Day on Monday, February 14th. Notes are coming home on Monday for donations and name list for cards. 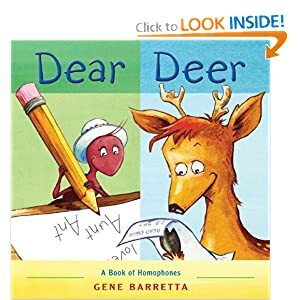 Here is a a matching game I found for homophones. Take a peek and try it!! This week we learned how to write a simile to enhance our writing. 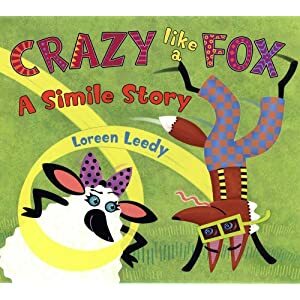 We read the book Crazy like a fox a simlie story. After the story we tried writing our own. The kids came up with some really good ones! James-You work as hard as a bear. P.J.-You’re as buzzy as a bee. Lexi-You sleep like a rock. Nichole-Its as dark as the night. Jenna-It’s as blue as the ski. Lindsey-It was as aquamarine as a dolphin. Kayla K.-Your hair is as glod as honey. Jaiden L.-It was as red as a volcano. Today we read the story The Mitten by Jan Brett. A Ukrainian boy named Nicki wants his grandmother Baba to knit snow-white mittens for him. She warns her grandson that a white mitten will be hard to find if he loses it in the snow, but of course he promptly does just that! What happens next is the surprising part, as a mole takes refuge in the lost mitten, then a rabbit, then a hedgehog, an owl, a badger, and a fox. If you think the mitten might be a wee bit stretched out at this point, just wait: “Then a big bear sniffed at the mitten. The animals were packed in tight, but the bear didn’t care. He crawled in anyway.” When a tiny mouse squeezes in, her whiskers tickle the bear’s nose. He sneezes, and “Aaaaa-aaaaa-ca-chew!” all the animals fly out of their crocheted cave. As the mitten sails through the air, Nicki spots it, reclaims it, and takes it home to show his smiling Baba. Take a listen to our story! Last week we had one of my favorite field trips of the year. The staff at the Historical Museum do a wonderful job! We had a chance to visit a one room school house, country store and dip candles. Thank you to all the chaperones that attended!!! 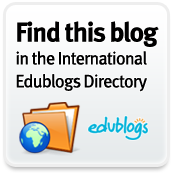 Take a peek at our visit! !